could tell how poor somebody was by how long they worked,” says Mr Voth. dropouts. The rich, it seems, are no longer the class of leisure. 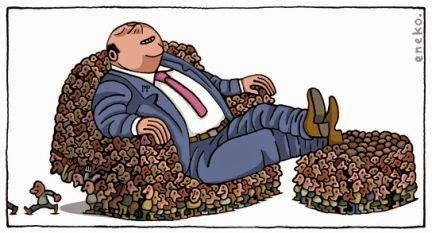 encourages the rich to work more and the poor to work less. occupation, that gap had increased to 25% by the turn of the millennium. have flipped the income effect on its head. others to do the dirty, repetitive work—what Veblen called “industry”. jobs, like lift-operating, and more glamorous ones, like fashion design. That means more people than ever can enjoy “exploit” at the office. social power. Instead it symbolises uselessness and unemployment. life. “I come to work to relax,” one interviewee tells Ms Hochschild. And wealthy people often feel that lingering at home is a waste of time. TV) than those earning less than $20,000. those with a bachelor’s degree or more. Today it is 8.4 points higher.